FBEC2018, guided by the Shenzhen Association of Network Culture Market and Guangdog Entertainment & Game Industry Association, hosted by Youxituoluo.com, Tuoluocaijing.cn and Genzon Enterprise Service, opened at the Conference Center of Kexing Science Park, Nanshan District, Shenzhen on Dec. 5th, 2018. ZEN-GAME came out ahead among many famous and large companies, winning “the Most Promising Game Company of the Year.”Its Physics Marbles Origin was awarded “the Best Little Game of the Year.” The ceremony aimed to honor high quality products and companies in the gaming industry in order to encourage entrepreneurs and practitioners to keep moving forward. The reason that ZEN-GAME won two awards out of so many competitors lies in its solid competencies. 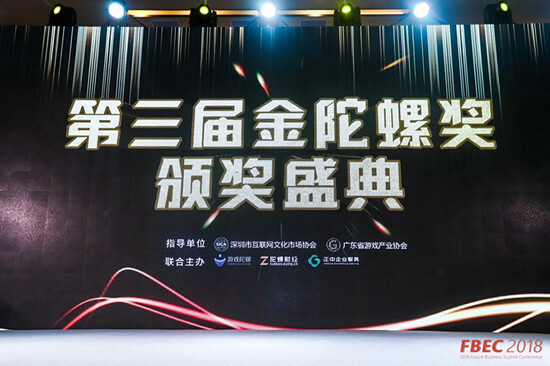 Golden Gyro Awards is guided by Shenzhen Association of Network Culture Market and Guangdog Entertainment & Game Industry Association, and hosted by Youxituoluo.com, Tuoluocaijing.cn and Genzon Enterprise Service. Since its inception, it has built prominent credibility and authority with its discreet censorship and strict selection standards. The competitions have always been intense. 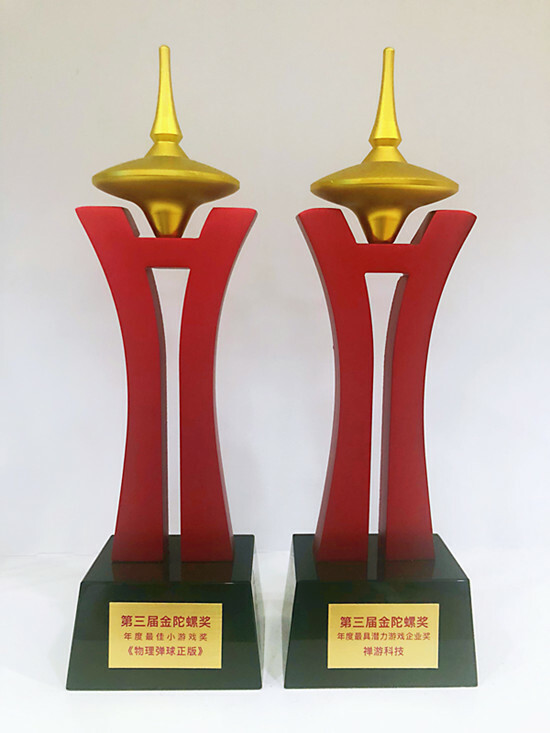 By winning two award shows, ZEN-GAME received high recognition from the host as well as assurance and expectation from the gaming industry! The year 2018 was full of opportunities and challenges for game practitioners. Through its own superb efforts ZEN-GAME has not only grasped the market trends of H5 and little games and creatively developed high quality games such as Physics Marbles Origin, but also focused on the products themselves and detail management. Confronted with more and more intense competitions, ZEN-GAME will continue to stress developing products and serving the players with higher quality and better service.